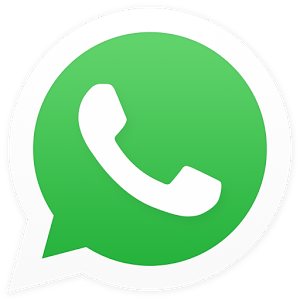 Whatsapp had earlier stated that their decision to abort rendering service to some mobile device is to serve people better, without much ado WhatsApp Messaging app is seriously making a lot of improvements every now and then. I’m pretty sure you are all enjoying the video call features now. Another update will soon be unleash, and I bet, you’ll love it because so many times you might have sent messages that are meant to be for your friend to someone else and you don’t know how to delete it… but with the feature coming, it will tackle it. Latest reports suggest that WhatsApp is testing a new feature that will allow users to 'revoke' a sent message, edit it and send it again. For the same, reports said WhatsApp is getting Gmail's coolest feature: Recalling sent messages. 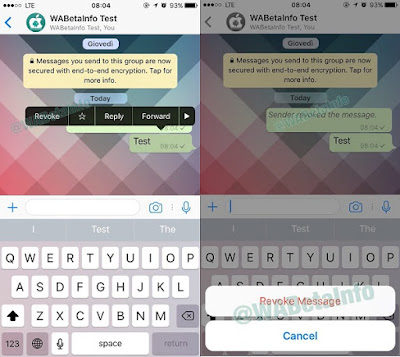 This feature is also said to have appeared on WhatsApp beta version 2.17.1.869 on iOS. While 'revoke' and edit is definitely a cool thing, what is more magical about the feature is that the 'recalled' message will reportedly disappear or get deleted from the recipients mobile too. Those who have groups will find this feature handy, as you will be able to edit sent messages, delete sent messages. I must say this new feature is going to be cool.